Microsoft ended Windows XP's Direct OEM and Retail License Availability on June 30, 2008 and System Builder License Availability on January 31, 2009. Which means you will be unable to purchase new copies of Windows XP (except for those still for sale on the market) after this date. 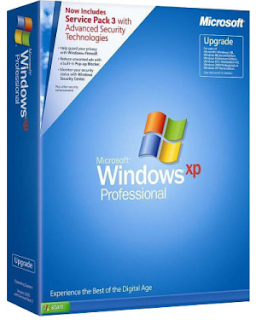 Recently Microsoft ended "Mainstream Support" on April 14, 2009 but will continue "Extended Support" of Windows XP Home, Media Center and Professional Editions through April 8, 2014. Mainstream Support provides both consumers and enterprise customers with a full offering of support including complimentary support, design change requests, security updates and other kinds of updates for the product. Extended Support does alter the range of support a bit, but for the vast majority of customers the essential core remains the same. For example, customers will continue to receive free security updates and can call in for paid support until the second Tuesday in April of 2014." For a vast majority of users (Over 60% still use Windows XP) , this can mean a savings of a few hundred dollars by not having to buy Windows Vista. You can rest assured that you will receive free security updates until April 8, 2014. Lack of security updates is one of the main reasons people are forced to upgrade. Windows 2000 users will be faced with this problem on July 13, 2010 when extended support runs out. Considering Windows XP is a very reliable operating system with extensive free software and free games available for it, there is no compelling reason to upgrade to Vista unless you require DirectX 10 game support.